NPA Regional Council provides regular school bus services, as well as transportation of its workforce. Bus services are also provided for public events and funerals. 7 days a week, with the exception of some public/gazetted holidays. (07) 4090 4100 or (07) 4090 4120. If necessary the Ferry Roadhouse can take direct payment by EFTPOS only. Visit the Ferry Ticket Page to see latest prices. 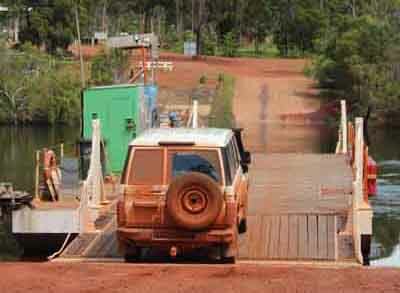 Ferry receipt will act as a permit to camp in bush campsites only, maintained campsites (eg. Punsand Bay, Alau Beach, Loyalty Beach or Seisia Campgrounds) will require further payment. Many bush campgrounds operate on an honour system, if you enjoy your stay, please make a donation so we can continue to maintain this paradise. As our region lies on Traditionally Owned land, please be aware that when travelling or camping, you are visitors, welcomed in good faith. Please respect the land, only camping in designated camping areas. If you are unsure if you are allowed somewhere, please feel free to ask a community member of contact the Local Ranger Base at Injinoo on 4069 3875.